How often has this occurred to everybody? And when it’s your favorite tableware, it’s very hard to part ways. There is a very ecological tradition in Japan, for instances like these! There is the attention from the foreign countries recently. And everybody calls it “KINTSUGI” as Japanese. 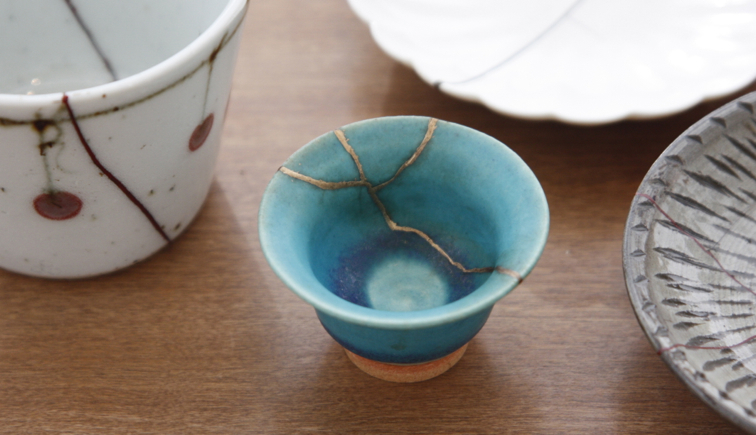 Kintsugi is a restoration technology of the traditional container handed down only to Japan. The art form was birthed in the 16th century, in the Muromachi era, in the height of popularity for tea ceremonies. 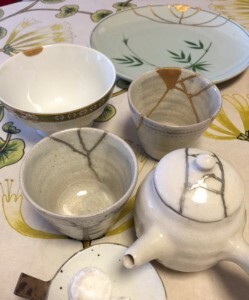 This technique was used toinvented to restore broken tea sets. I glue a crack together with the lacquer which is natural adhesive. And I spend long time and am dried and flatten the surface. I ride gold dust to hide the joint. Old people called the scar which they restored “scenery”. It is a work of art being aware of beauty. It becomes more beautiful than the broken front, and it is charm of “Kintsugi” to come to love very much. This is mind called Japanese “Mottainai”. When most tableware had been broken by an earthquake disaster in Japan, much domestic tableware was restored in “Kintsugi”. It is important tableware clogged up with the memory of the family. What I can restore without throwing it away is very wonderful. A Japanese youth and the overseas person enjoy it as new art recently, too. 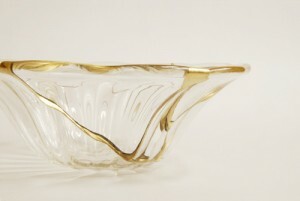 It is the evidence that traditional art of Japan is inherited in new form. Many youths are interested and make one’s original work. A work made with a gold patch does not have the same thing !! Important tableware is reborn to more important tableware.